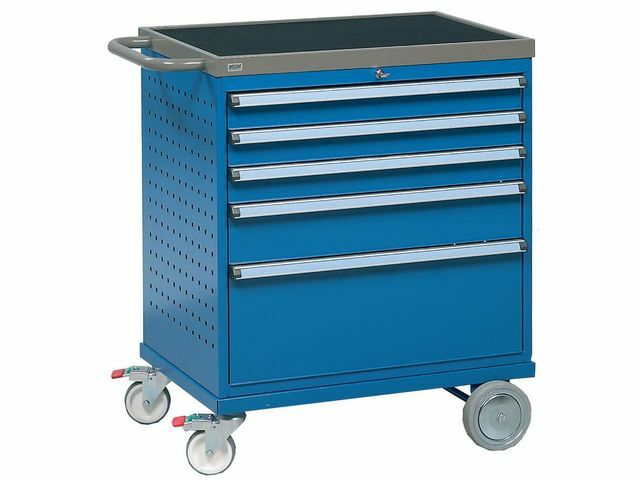 The service trolley frame is equipped with a safety locking feature that allows only one drawer to be opened at a time. 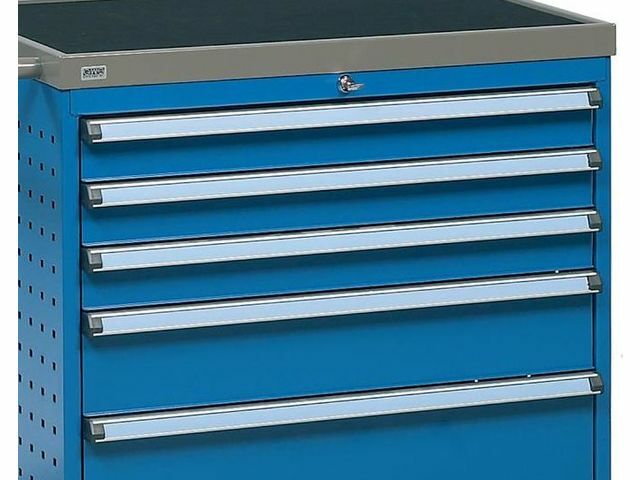 The cover comes as standard with a separate rubber mat that prevents items from slipping. 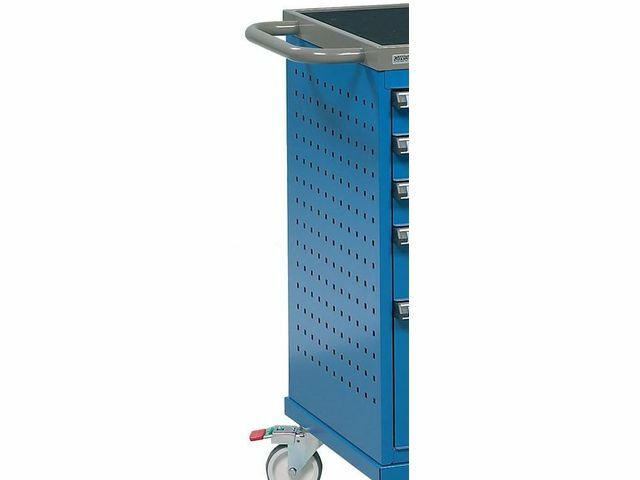 Both sides of the trolley have standard, perforated panels that you can accessorise with brackets and mountings, to suit any application. 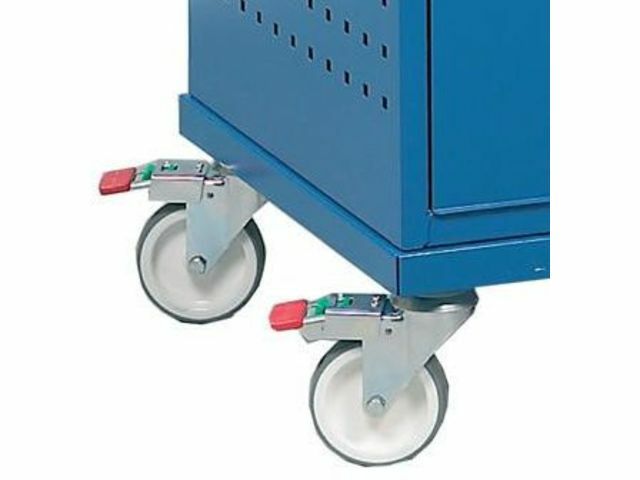 Service trolleys are also equipped with two fixed castors (Ø 150 mm) and two swivel castors including brakes (Ø 100 mm).